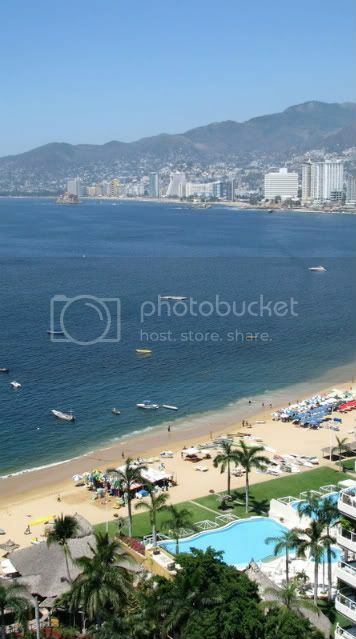 ACAPULCO,Guerrero--Though we were here on assignment and couldn't frolic in the beach like the other vacationers in our hotel, it certainly made views like this more rewarding after a 10-hour work day. I was also glad that Acapulco wasn't as repulsive to me as Cancun. Maybe it was because we spent most of our time outside the tourist zone, where there are neighborhoods in rough shape and humble suburbs. Spending too much time on the tourist strip can be like being in a bubble. It doesn't allow you to put the whole complexity of the area in perspective.